AUXILIARY CIRCUIT 1 (STANDARD EQUIPMENT): Controlled by the right-hand joystick. AUX1 supplies 19.8 gpm to operate attachments requiring hydraulic flow, like a breaker, thumb, or tilt bucket. AUXILIARY CIRCUIT 2 (OPTIONAL): With AUX2 installed the left-hand joystick supplies 19.8 gpm to operate attachments like a breaker, auger or tilt bucket. The right-hand joystick supplies 9.8 gpm to operate the hydraulic thumb. 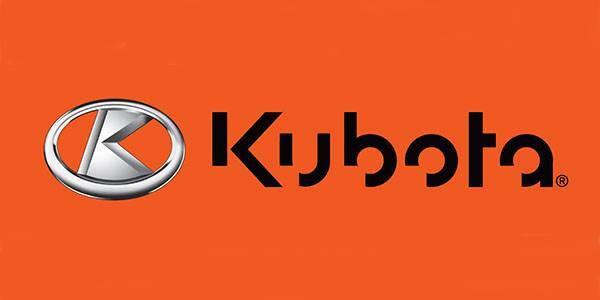 KUBOTA V2607-DI ENGINE: The U55-4 is powered by Kubota's impressive 47.6 HP direct injection engine, complies with Tier IV emission regulation. 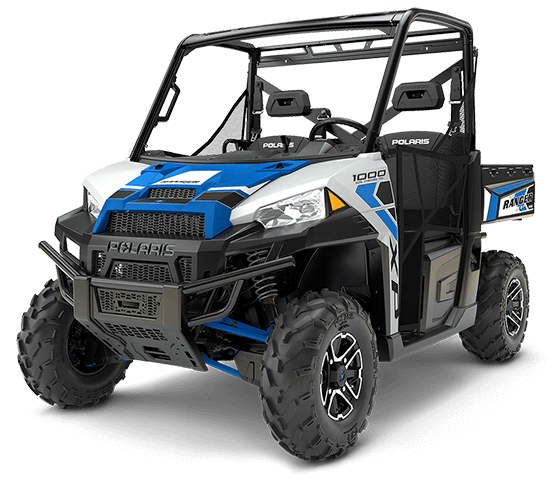 Engineered with the power to maximize digging and lifting performance, it also delivers minimized noise, vibration and fuel consumption. 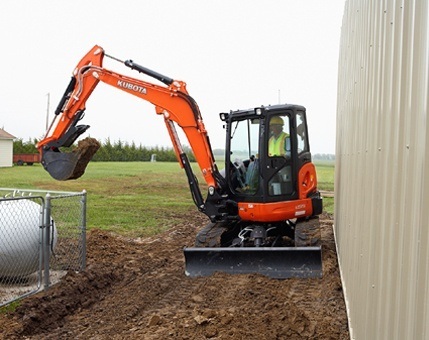 TWO SPEED TRAVEL: Placing the 2-speed travel switch on the dozer lever gives you more foot space, plus dozing operations can be done faster and easier. STRONGER BUCKET AND ARM BREAKOUT FORCE: The U55-4 delivers an impressive bucket digging force of 11,177 lb. 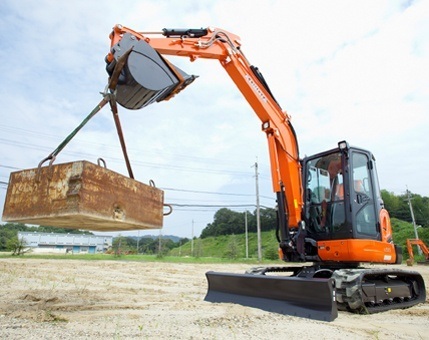 Its powerful and well-balanced arm and bucket allow the operator to dig faster and more efficiently even in the toughest conditions. 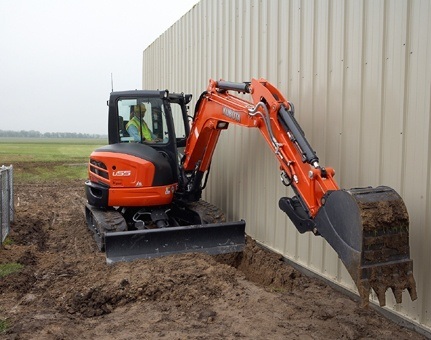 WIDER CABIN: The U55-4 features a much wider door and ample foot space, making it a breeze to get on and off the excavator. 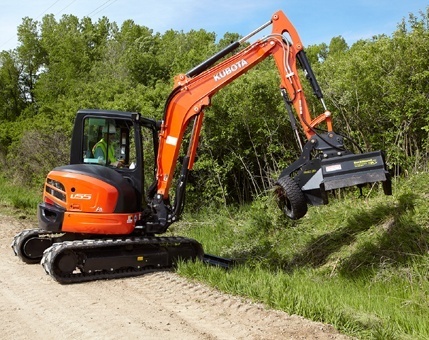 AUTO SHIFT: Downshifting under load, the auto-shift system returns to high speed automatically, providing smoother turns and dozer work. ADJUSTABLE MAXIMUM OIL FLOW CONTROL: The maximum oil flow settings of both circuits are conveniently adjustable from the digital panel. No additional tools or complex manual adjusting procedures are necessary. You can even program up to five oil flow rates corresponding to specific attachments into memory on the digital panel. 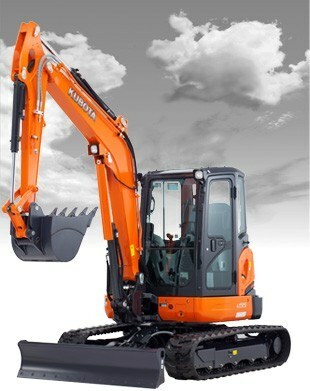 3-PUMP LOAD SENSING SYSTEM: Kubota's improved 3-pump load sensing hydraulic system ensures smoother operation, regardless of load size. It allows hydraulic oil to flow according to the specific range of the operator's lever motion. The result is greater fuel economy and smoother travelling. POWERFUL AIR CONDITIONING: The overall air circulation in the cab has been improved, thanks to a stronger cooling/heating unit and the positioning of six vents around the operator to offer better all-round comfort. THUMB BRACKET AND RELIEF VALVE AS STANDARD: The hydraulic thumb makes short work of a variety of loading and material handling jobs. The factory installed mount brackets and hydraulics significantly reduce the time needed to mount accessories. 5 LOWER TRACK ROLLERS: Travelling noise and vibration are reduced thanks to five lower track rollers. That helps reduce operator fatigue by the end of a long day. TIGHT TAIL SWING: With its counterweight protruding a mere 2.5 inches, this tight tail swing model proves to be highly versatile when undertaking operations wherever space is confined.